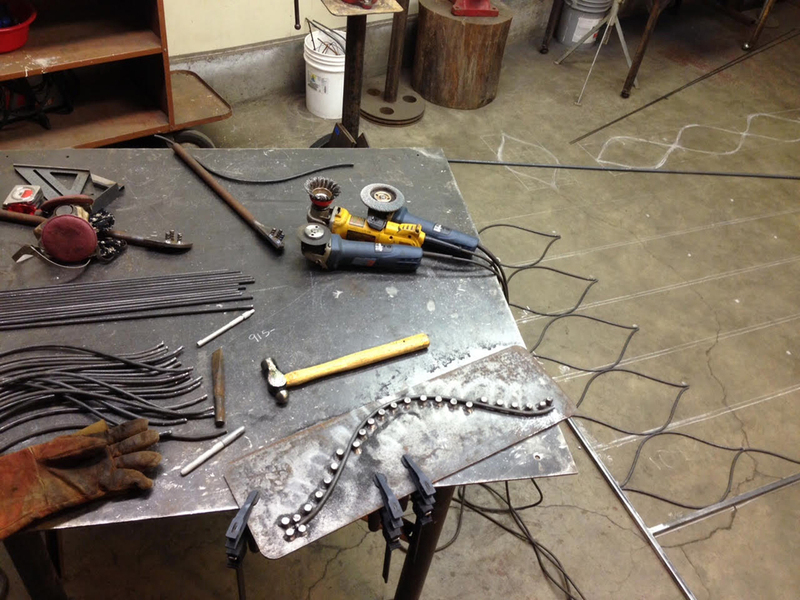 I was approached to build a wrought iron trellis that was inspired by a trip to Paris. Keith had a productive yet gangly raspberry patch along the driveway that’s visible from the kitchen window. The goal was to build something functional as well as creating an attractive focal point in the art nouveau style. 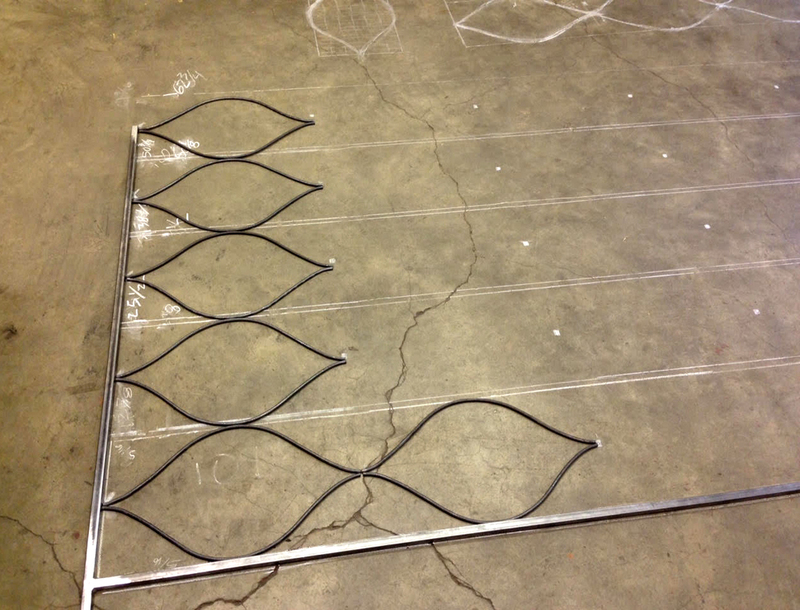 Using his sketch of Parisian metalwork I built this custom trellis. Each wave section was forced through a jig, hand shaped in a vice, then a forged cuff was wrapped around each connection point. 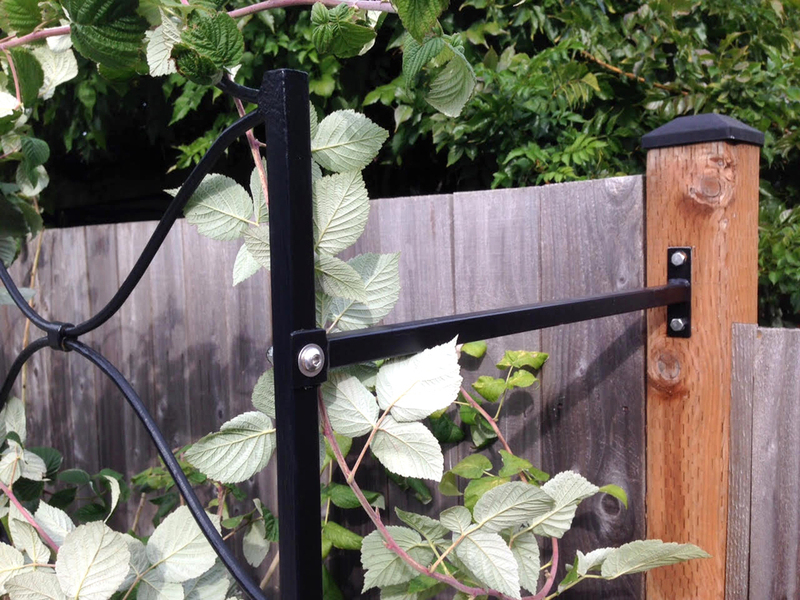 There are two 20″ L brackets that secure it to the fence posts with stainless steel hardware. 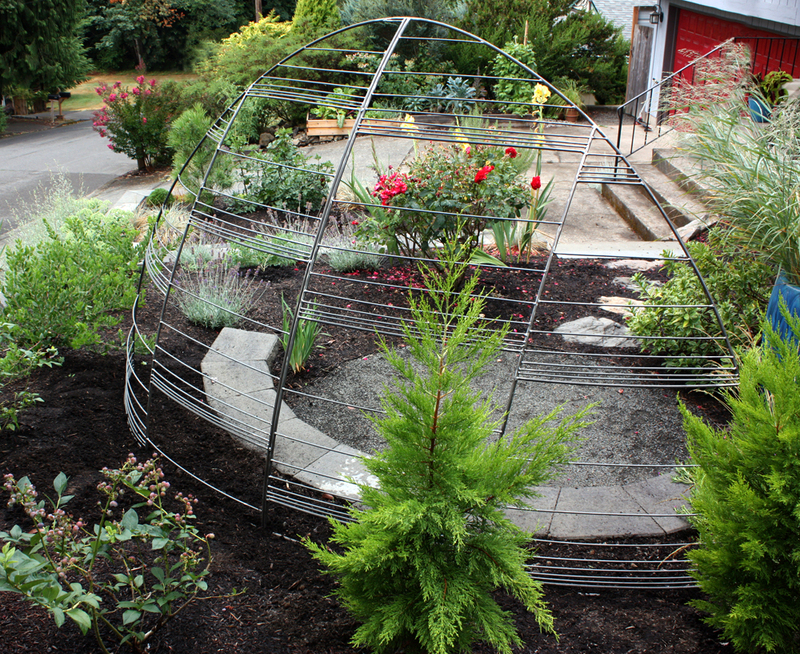 The trellis sits upon two vertical rebar stakes. 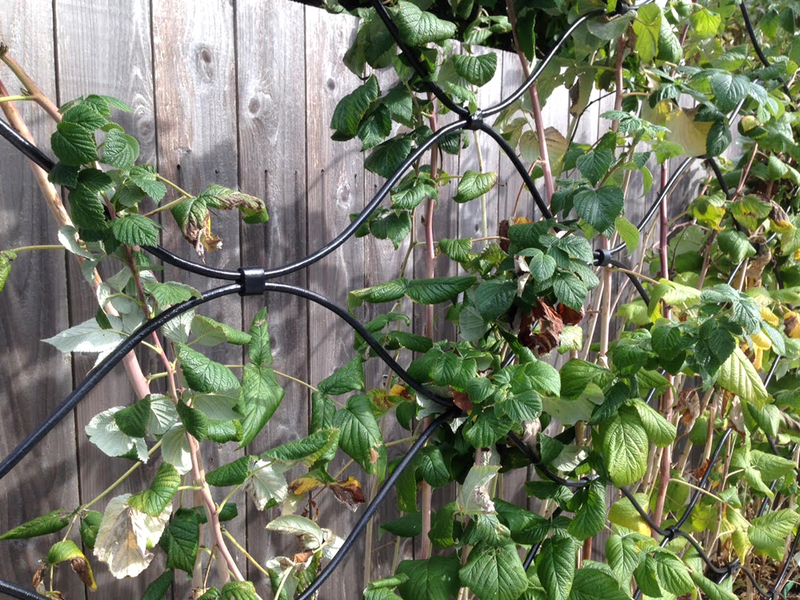 Categories: client review, commission, new work | Tags: commission, fence, trellis, vine | Permalink. Client Review: “Shelly created a beautiful trellis for our front yard that acts as a screen but is really an all season focal point. 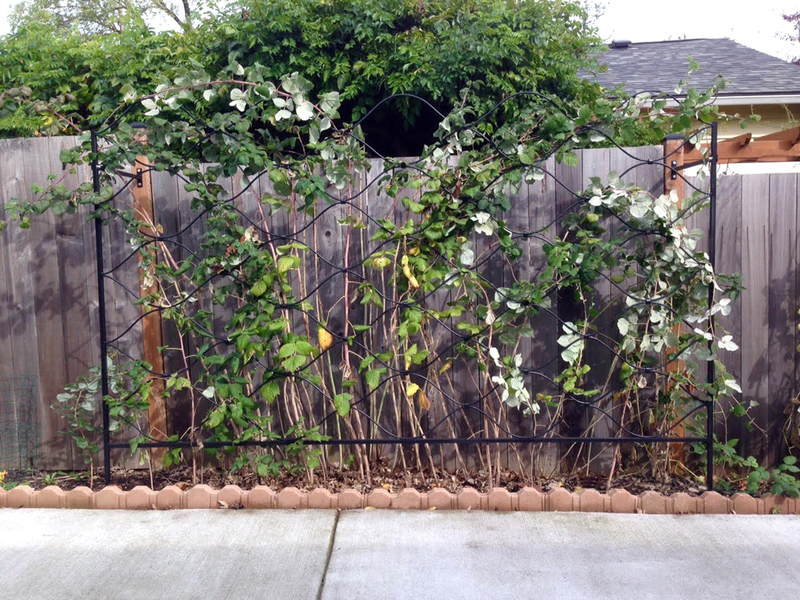 The trellis provides privacy from the street and support for my favorite climbing rose. Shelly spent time with us in the yard to really understand the site and our needs, and she collaborated with us through sketches and photos to come up with this fabulous modern work of art. She also helped us install the finished product. People walking on our street stop and comment frequently! Thank you, Shelly, for this wonderful addition to our landscape. 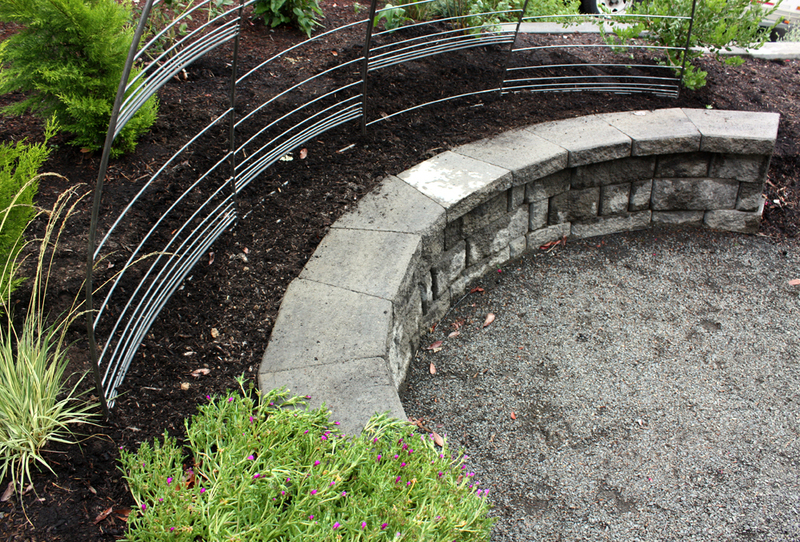 Categories: client review, commission, new work | Tags: commission, custom, fence, flowers, trellis, vine | Permalink.